I spent a couple hours over at Mount Tabor this morning... It was beautiful out so it was nice to just walk around. The place is pretty much being run my finches right now. I love the Lesser Goldfinches at the top and they are more than happy to pose for a photo. I saw my first Olive-sided Flycatcher this year... It was defending the top of this tree from several persistent House Finches. Great bird photos and the dogs look like they are having a good time. 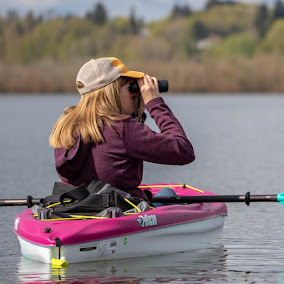 You saw and captured some great birds!! Boom & Gary of the Vermilon River, Canada. 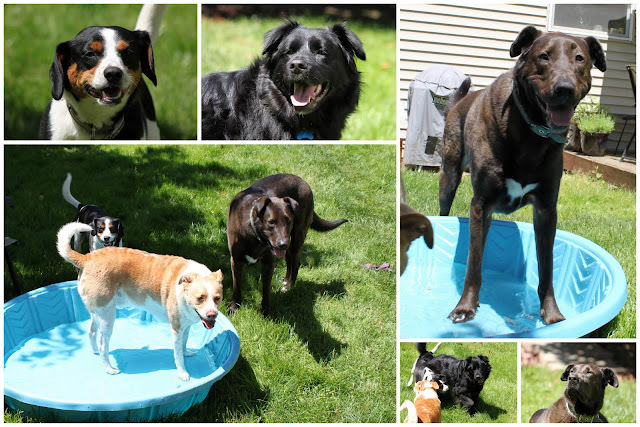 I love the dog photos and that pool looks pretty darn good right about now! HEY is there room for me and my 2 in that pool...lol We had one of those last yr and it dry rotted over winter so I gotta get a new one next time I go to the dollar general! Great shots of your pooches and the birds!!! Lovely shots, Jen! And I am sure my dog would love to join yours in the fun! Those are some happy looking dogs!